Situated at 1-1-1 Marunouchi and with a legacy going back more than half a century, Palace Hotel Tokyo is heir to some of the city’s most exclusive real estate. 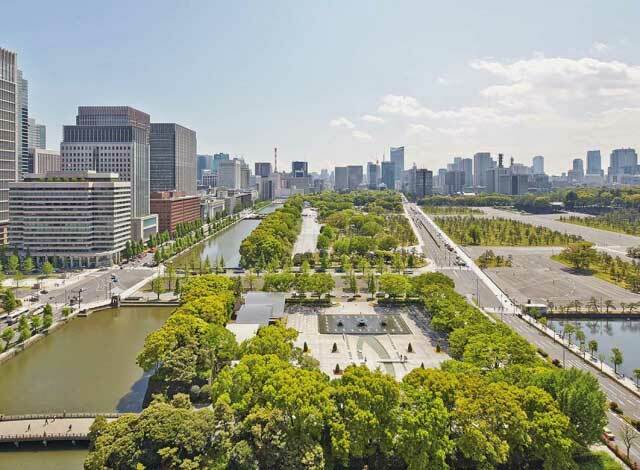 With an imitable perspective on the city and a sublimely tranquil moat-side location adjacent to the Imperial Palace gardens, the hotel opened with a splash in 2012 following a complete three-year rebuild from the ground-up. As the anchor to a USD 1.2 billion mixed-use development which includes an adjoining Palace Building consisting of prime commercial office space, the hotel features 290 luxury guestrooms, 10 restaurants & bars, an evian SPA and extensive meetings & events facilities. From the distinctive omotenashi (Japanese hospitality) at first encounter to the subtle Japanese touches throughout, the wholly Japanese-owned and managed hotel is home-grown through and through. Presenting guests with an experience of the city rivaled only by its incomparable views, Palace Hotel has has redefined the luxury experience in Tokyo. With its decades-long commitment to offering hospitality at its finest, the award-winning hotel offers an unparalleled experience of Japan, as delivered by its unfiltered celebration of the country’s culture.